I much prefer to sketch people, animals, birds or water – animate subjects. But every now and then something begs to be added to my sketchbook, although once I get started I’m often reminded why I prefer the animate subjects. They will often move, or agree to move, to a better position or pose if the first view is not quite right. But with inanimate things, it’s always the same – there are always too many tourists breathing down my neck and saying, “Wow, How d’you do that?” or, the best view seems to be from a place where I can’t sit or be comfortable. But this museum’s gallery of sculpture and ceramics doesn’t seem able to compete with the dinosaurs. Makes it nice and quiet, but here I am now, looking at the Rodin statue again and it’s still impossible to get the best view because of that damned column. I could turn the sculpture I guess, using the trick Paruni taught me. It only needs to be rotated a smidgen. I could then sit in comfort on that padded viewer’s bench. But these museum types like the artworks firmly fixed, and prefer that people be the moving objects. Nothing for it – I’ll have to draw from here. Aaaah – my hands enjoy these first sweeping strokes. ‘Smooth and easy’ was what Old Srawley used to say at my boys’ school. When he drew something, his arms and hands seemed to flow in liquid motion. Say, this sketch is coming up not so bad. He’d say, ‘beginning to grow nicely’. I want to scream, but I can’t. I want to yell at him to tie his goddamn shoelaces, then he wouldn’t trip on them. And he won’t grab my arm to save himself from a fall. ‘Look at that – he’s wrecked the whole drawing‘! Can’t be too angry – he’s so genuinely sorry, he has tears in his eyes. So – go ahead, smile at him, go to the next page and start again. Maybe I should say something to encourage him. He’s gone over to the viewing bench and is actually tying his shoe-laces. That’ll take awhile with his fumbling fingers. A new page is always so inviting. Who was it said something about ‘Pregnant with promise and anticipation’? If I was a writer I guess I’d know that. Jeez, I really wish I could turn the statue just a bit. Would that crabby curator notice? He’s got his eyes on the old man. Boy, wouldn’t he be surprised if I did move it — must weigh a ton. But with my tele-thingummy trick it wouldn’t be a problem – shouldn’t take more than five seconds. But no, ‘Eagle-eyes’ would see it turn and he’d come over with beetling eyebrows and a parade march step. I wouldn’t want him to know how Paruni taught me the trick. Hey, this new sketch is neat. If anything I like it better than the first try. The graceful turn of the neck is much better. Maybe the old guy did me a service after all. What’s he up to? 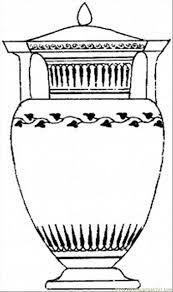 Uh-oh – he’s going back to that old Greek vase again. Yesterday he stood there for at least twenty minutes. There are at least fifteen other vases here and seven statues. But he’s only interested in that one painted Greek piece. Even way back here I can see, it’s not just Parkinson’s making his hands shake, he’s itching to pick it up. Maybe I should use my thingummy – what is the word for that thing? – anyway I could pick the vase up and hold it out to him. But no … that would really fluster him. The poor guy would think his shaking was creating problems with his eyes. And ‘Gold Buttons’ would go berserk. He watches everybody as though they have accomplices lowering ropes to lift the goods out of here. I really should get to know the old man, he’s interesting. I wonder now. Guess the statue could wait a moment while I try to get him down on paper. He’ll stand like that nice and still, except for those twitching fingers. Now, can I capture the intensity of his stance? It’s vividly clear despite the occasional quaver. Good start. He’s really interesting to draw — must chat with him, the guy must be lonely. Hmm. Thank you angels, I think he’s beginning to emerge .. round shoulders .. straggly hair … head looking up .. stubbly chin thrust forward. So fascinating how his rapture seems to soften some of the wrinkles. Now – hold still old man. No. Just keep your arms down. ‘What are you doing? No-no for Pete’s sake, don’t pick up the vase – don’t you fool, you’ll drop it!‘ I can’t shout or anything. He has to lift it over that protective rim on the stand. Tricky. He’ll drop it if I yell. Uh-oh, look out Daddy- O, fancy epaulettes is coming at you and he’s fuming … and scared stiff. Can’t say I blame him. Those gnarled fingers look awful clumsy around that vase. ‘LOOK OUT!’ It’s slipping. Can I? Should I? I HAVE NO CHOICE! Phew! Caught it just in time. Now I’ll just .. put it … down … gently. Why can’t I yell it out loud? Why is it so difficult for me to accept that people don’t understand? Why can’t they believe? Now I can do it, I know they could both do it, and everyone else too, but what’s the use? But then – if they don’t know I did it and don’t even seem to know I’m here…guess I’ll just pick up the vase and put it back on it’s pedestal. It’s too easy. Whoops! Shouldn’t have done that. Now they’re going bananas. The old man’s whimpering and the curator’s trembling and staring toward the door, expecting the entire museum staff to come in and catch him doing something unforgivable. ‘Look over here dumbbell! I’m the only other person in the entire gallery.Who else could have done it?’ Damn their ignorance! Damn everybody! But, wait a minute…I’m being very slow myself. Right now I seem to be just another statue – forgotten while they’re still staring at the vase — and each other … why don’t I … ? This marble senator only needs that ten degree turn to the right and maybe a step closer to the viewer’s bench. So….a simple lift – and turn – then two feet to the right. Now gently, silently back to the floor. Wow — I still get a kick out of that. Damn thing must weigh a ton and I moved it. The cleaning staff will go nuts when they see the debris that was under the statue. But, now I can sit down on the viewer’s bench and sketch in comfort. I wonder….could I use telekinesis to operate my pencil too? Must check it out next time I speak to Paruni. Wouldn’t that be quite the trick? I have nominated you for the Blogger Recognition Award. Do reply on it. Check out my latest post for all the rules. I hope u enjoy. This entry was posted on September 17, 2016 by Alton Chapter in Alton Chapter and tagged book chapter, Short Story.